Since the start of this revitalization, a revolving door of comedians have played the Colonel. 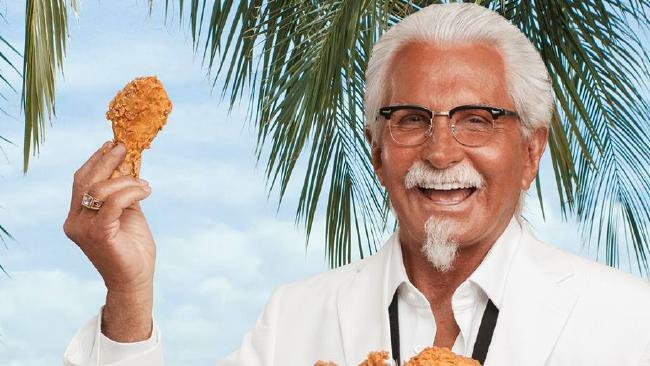 The list of comedians, which includes Darrel Hammond, Norm MacDonald, Jim Gaffigan, and now George Hamilton, an exceptionally bronzed version of the notoriously pale proprietor of KFC, have all garnered attention for the brand. While these ongoing changes may break through and create attention for the brand in the short-term, what impact will it have over the long-term? In fact, now there are two Colonel Sanders that consumers are being exposed to concurrently – a regular Sanders and an Extra Crispy version. With consumers being inundated with advertising across omni-channel platforms, marketers are pressured to try new things to break through the noise and get some attention. This drive to remain relevant and break through means that many marketers are evolving their brand assets, including brand characters, but there is a need to do so cautiously to avoid damaging existing equity through the evolution. So, is KFC demonstrating this type of rigor in its evolution of both Colonel Sanders and the KFC brand? By introducing multiple variations of Sanders, KFC risks diluting their brand asset by giving him different personalities and products to pitch, which could start building unintended and unrelated associations that could damage some of the equity the brand has been building for over half a decade. Not only could this lead to negative associations, but new positive associations unrelated to what we have come to expect from the Colonel could create confusion as to what the brand stands for. Does having so many actors fracture the solidly built mental image of Colonel Sanders archetype? Is the wacky beachcombing Colonel really reinforcing the key attributes that Sanders is known for? Or is the outrageously tanned Hamilton creating some unintended associations for consumers? Over cooked? Not serious? Too tough? Is he cannibalizing mental availability from his more standard companions? Furthermore, the actors that portray the Colonel don’t exist in a vacuum. Does Hammond, famous for his portrayal of Bill Clinton on SNL, accidentally cross contaminate the Colonel with the innuendo laden presidential impersonation? Or with Hamilton, does the association with soap operas or the Godfather truly service chicken sales? Whether you find the newly minted Hamilton as Sanders strange or love the new direction and think that it reinforces the right emotions for a recovering brand, KFC will only be successful if the actors portraying the Colonel reinforce the brand’s intended associations. Humour can clearly create breakthrough, but can it stand side by side and reinforce quality and heritage? Whether you’re planning a brand renovation, packaging refresh, new advertising or digital content, the key is to measure both whether your communication breaks through, as well as the intended and unexpected associations created with your brand’s evolution. The earlier you do this within the creative and design processes, the better. While selecting the right talent for any ad may come across as a somewhat subjective process, brands can improve their advertising effectiveness by measuring the emotional and cognitive associations that are being elicited by the actors in their campaigns. Ideally, KFC would measure how well each of these actors’ portrayal of the Colonel is aligning to the type of mental availability the brand is strategically building to drive growth. Consistently reinforcing associations that drive purchase in your category fuels brand growth. This doesn’t mean brand assets can’t change, as it’s often necessary and beneficial to update and evolve assets, but the key is to know when, why, and how to do so effectively. By measuring your existing brand assets, as well as your proposed evolutions of them, you can ensure that you are creating and reinforcing the right associations to build mental availability and grow your brand, both in the short and long-term. Research into your planned brand evolution should go broad enough to understand how the tactics will perform within the greater context of your competition (i.e. clutter wheel, on-shelf), while going deep enough (i.e. evaluating talent in an ad, as well as other brand elements individually), so that you can make tweaks rapidly and cost-effectively, in a way that helps your agencies accelerate your brand growth. If you’re planning a brand renovation, packaging refresh, or new advertising campaign and are wondering how to leverage your brand assets to drive growth,� please contact us. Hotspex is proud to be working with 15 of the top 20 global advertising brands and is among the top global insights and brand building consultancies. Whether you need original recipe research or extra crispy insights, Hotspex can make sure your brand is finger lickin’ good.